Jeepers, what a day! After a long, long Wednesday in Dubai, the draw has been left with no seeds remaining. Simona Halep and Carla Suárez Navarro were the first two out on Wednesday with Ana Ivanovic defeating Halep (full recap HERE) and Suárez Navarro failing to capitalise on a set and a break lead, eventually going down in three sets to Caroline Garcia. As rain and gigantic hailstones delayed action in Dubai, matches were spread across three courts into the early hours of Thursday morning. Garbiñe Muguruza was next to fall in straight sets to Elina Svitolina, 6-7(3) 3-6. The Muguruza-Svitolina match was painful viewing. I hate to say this but it was more about Muguruza’s performance than Svitolina. The Spaniard committed a humongous 68 unforced errors including two at the end that was closer to the back fence than the court. Muguruza looked subdued throughout the match and was one-dimensional in her gameplan, hitting the cover off the ball with little or no variety. One of the things that impressed me so much about Muguruza last year was her ability to come forward and close out points. This didn’t happen in this match and despite Sam Sumyk giving her what sounded like credible advice after the conclusion of the first set, there wasn’t a notable change in performance. Svitolina had twice failed to serve out the first set before finally getting the job done in the tiebreak. The Ukranian player, now with Justine Henin in her box, also failed to serve out the match before sealing the deal at the second time of asking. It was a good win in the end for Svitolina and she deserves respect for at least taking advantage of a slack performance from Muguruza. The stats describe the match quite accurately. And then there were none… Petra Kvitova tumbled out in the last match on court 1 to Madison Brengle. And what a scoreline it was, 0-6 7-6(1) 6-3. Furthermore, chuck in that Kvitova won the first set in 17 minutes and she was 3-1 up in the decider. What a wild day. Credit to Brengle who did what I feared she might do… absorb everything. She really fought hard out there. I’ve always been a fan of upsets but the lack of stability in this draw is rather unnerving! While the top ten continue to look very unsecure, i’d rather look at this from a positive angle in that it shows the strength in depth there currently is on the tour. It’s one of the reasons why I follow WTA much more closely than ATP because you just NEVER know what’s around the corner and that’s exciting. Polls for the quarter-finals are below along with a new one for the winner… so who’s winning this now?! February 17, 2016 in Brengle, Dubai, Kvitova, Muguruza, Suarez Navarro, Svitolina, WTA. There are three siblings play in this tournament though there are from different parents – Kvitova, Muguruza and Camila Giorgi. Hahahaha…..well for me Ivanovic is the fourth one though she won today. You are right. She is the fourth one. Strycova punished her jelly legs and she becomes Ivanobitch (kidding) lolll! Muguruza tried to outplay Svitolina. It happened in AO2016, she tried to prove that she could outplay anyone from the baseline. She should mix up her variety shots where she earned her first premier title in Beijing. James, you are right, it was so painful to watch. I am really proud of the way Caroline Garcia played against CSN,yes there was a severe thunderstorm which halted their match for over 3 hours,CSN was leading,maybe her momentum was halted,still Garcia hung tough and focused,thats the Caroline I want to see,she has a great game and when ‘on’ is delightful to watch. My Dark Horse to win this tournament is Caroline Garcia,,,,I picked Petra to win and my initial Dark Horse was Pliskova how wrong was I:). Those hailstones were amazing though – almost the size of golfballs! I’m not surprised they didn’t let the matches continue whilst that was going on. I agree that it’s good to see Caroline through but I think Carla has shown that she struggles against anyone who can hit the ball hard. She lost badly to Jelena Ostapenko at last year’s Wimbledon despite Jelena not being ranked in even the top 100 back then. I like Garbine so I’m sorry she played so poorly even though Elena seems to have more than deserved her victory. As for Petra, I think needs a new coach, and badly. That first set seems to have been peak Petra and then she collapsed in the second one and the end of the third. Winner likely from the top half, whoever plays the consistent, stable tennis..Garcia?? I wish I could say 100% that Caroline plays consistent,stable tennis,she tends to lose focus in matches at times,especially in the big points,this is an area she has to improve on to go up the rankings,she has the game to do it.I love watching her play,so does Andy Murray by the way:) he is a big Garcia fan. I really want to go with Garcia or Ivanovic for the win but either one would need to really steel themself. My heads saying Errani could do it. I have a feeling either Errani or Brengle will win this. Based on the current form, Brengle may have a chance. However, I am not sure if she has anything left in the tank since she has to play in the afternoon. Which means she has less time to recover. The whole tournament has turned into a horrendous feat. Ill be surprised if Brengle beats Errani. Sara just has a much more solid game. Both have the same playing styles that rely on opponents inconsistency to win matches. Of course, Errani may have varieties like drop shots and volleys to threaten Brengle. Any, the best pusher wins the match. Nobody’s talking about Svitolina ? She seems determined. Im not getting fooled by Coco wins against Kiki as Mladenovic should have won this if she did not collapsed at the end (losing the last 7 points after having broken Coco serve couple of time in the decider). 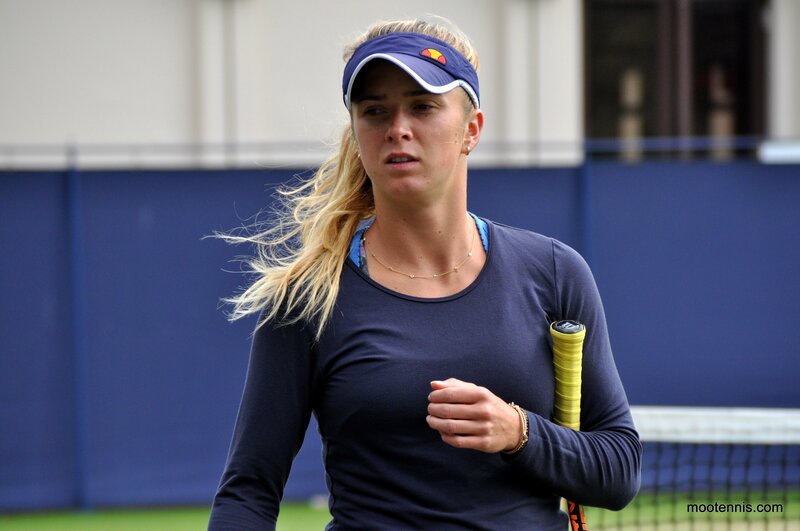 I think Svitolina is going to get rewarded at some point because her spirit on the court is remarkable. Her lack of power is a troubling point but in some situations, i think she can overcome that. 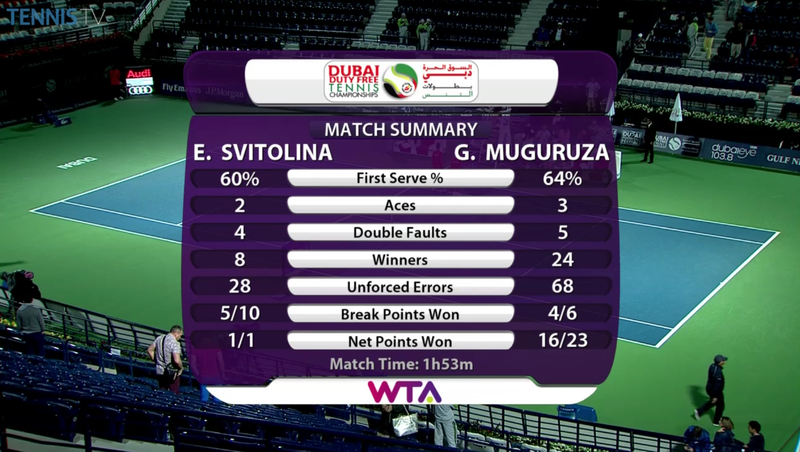 Svitolina wasn’t great against Muguruza and has a near collapse against Cepelova too. I think the girl will be a real star someday soon, but I’m not sure this will be the time. I think Henin may be making her a little anxious ane eager to prove. Good solid straight sets win for Garcia over Petkovic.Garcia will play the winner of Ivanovic v Babs in the s/final. Yeah, Bara’s been playing well recently. It may well be that her recent successes in Fed Cup doubles has given her some confidence. She was an awesome junior, but her height and that temper have held her back so much over the years. Indeed. Ana looked so tight and anxious tonight. Another super win for Babs. I do like Babs so Im happy to see her with such a big result. Even though Ana played a bad match, Strycova was really impressive. Garcia in the semi finals in singles and doubles. Could this be her opportunity for a Premier final? One of the wrost kind of umpiring i have ever seen during Coco’s matchup.If she had to give an official time duration warning she should first tell the player unofficially that she is crossing the time limit.She dosen’t even deserve to officiate an ITF match.Such a shame.